Known for his staunch stance against President Recep Tayyip Erdoğan, former Pentagon adviser Michael Rubin said in his latest opinion piece that the head of state may end up being "exiled, imprisoned or executed." "Erdoğan would neither be the first Turkish leader imprisoned nor, should his critics seek vengeance and the justice system allow, would he be the first to be executed," Rubin said in his latest take for the Washington Examiner. "While Menderes' execution scarred Turkey, it also set a precedent. Where Menderes was innocent, Erdoğan is, in most cases, guilty. While Menderes was in many ways a martyr, there is ample precedent for others who have engaged in ethnic cleansing, war crimes, terror sponsorship, and mass corruption to pay the ultimate price," he said, comparing former Prime Minister Adnan Menderes, who was executed in the aftermath of a military coup, with President Erdoğan. While accusing Erdoğan, Rubin interestingly tries to defend Israel at the same time, in a way totally unrelated to the substance of the article. "Human Rights Watch and other anti-death-penalty organizations may complain, but they often subordinate principles to politics. For HRW, it is simply more lucrative to bash Israel than waste much time on Erdoğan," he says in the piece. "That does not mean Erdoğan's execution would be wise — to transform the Turkish leader into a martyr would condemn a new generation of Turkish politicians to face the same polarization and unrest that the last generations have." Rubin is known for his biased views on Turkey and Erdoğan. This piece is not the first time he attacked the president; he regularly targets him in his articles. "Such a strange irony: to reinstate the death penalty and be the first one to be hanged," he previously said regarding Erdoğan's call for the reinstatement of the death penalty. Rubin also regularly sends provocative tweets threatening the president, as well as his family and promoted the "No" campaign for the constitutional reform referendum, which resulted in a decisive "Yes" vote. He is also a staunch supporter of Egyptian coup leader Abdel-Fattah el-Sissi, who replaced the country's first democratically elected president through a military takeover. 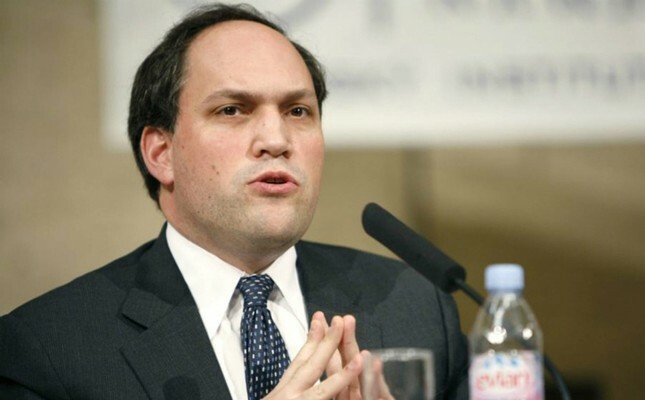 Rubin had previously been criticized for defending Fetullah Gülen, the leader of Gülenist Terror Group (FETÖ). For instance, he wrote a piece entitled "Deporting Gülen Would Undercut NATO," and used a pro-FETÖ hashtag #hizmet in a tweet in which he denied any association with the group. The former Pentagon adviser continues to outrage the Turks, who express their anger in responses to his provocative tweets, some of which are written in Turkish.